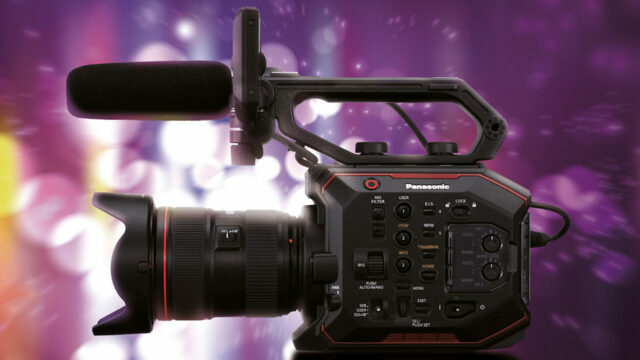 Do you own a Panasonic AU-EVA1 camera? Tired of digging through YouTube and/or shady forums to get additional intel on how to squeeze the very last piece of performance out of it? Well, look no further. Barry Green has published a comprehensive e-book – An EVA1 Guide for free! Almost every major camera manufacturer has its own industry specialist. One who knows every last detail of a given camera and spreads the word among the community. Sony has Alister Chapman, RED has Phil Holland and Panasonic? Well, Panasonic has Barry Green. And that exact Barry Green has just published an extensive e-book, an EVA1 guide. The Zacuto camera shootout is back! If you were wondering which was the better camera, then tune in to this smart and scrupulous battle going LIVE on March 14th at 11am CST. 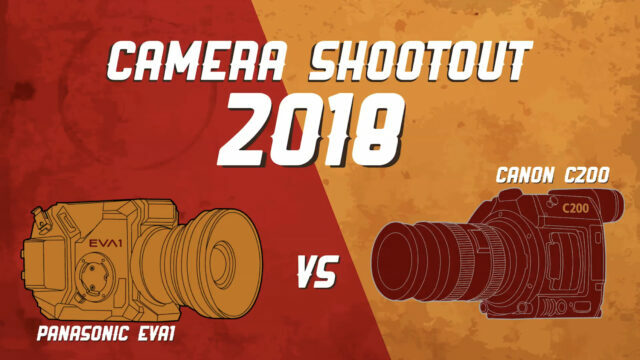 The “Camera Shootout 2018 – Canon C200 vs Panasonic EVA1” hosted by Zacuto has a challenging mission: to put the Panasonic EVA1 and Canon C200 through a series of tests, and try and declare a “winner”. “Our shootouts are back!! Side by side, Bruce Logan, ASC put the Panasonic EVA1 and Canon C200 through a series of tests” as stated on the Facebook event page. I remember the fascinating “Great Camera Shootout 2011”, which I watched a couple times! The 2011 Zacuto camera shootout demonstrated side by side comparisons of the ARRI Alexa, Sony F35, Sony F3, Canon 5D Mark II, Canon 7D, Canon 1D Mark IV, Nikon D7000, Weisscam HS-2, Phantom Flex, Panasonic AG-AF100, RED ONE M-X and 35mm Kodak 5213 and 5219 film. Yes, you heard right! The Canon 7D was compared to the ALEXA, and film against digital, all by carefully testing essential parameters like sharpness, low-light sensitivity, exposure, latitude, highlight detail, shadow detail, color quality, skin tone reproduction, compression losses and shutter artefacts. Conducted by consultants, specialists and technicians from various areas of the motion picture industry, these on-set challenges were designed to push these cameras to the limit. The 2011 battle was extremely educational and, in my opinion, must be watched by film educators, as the whole project is on Vimeo.